Our South Africa volunteering with monkeys and baboons is out most popular programme because these adorable, mischievous animals never fail to impress! It’s about time we got to know a little bit more about our furry friends and answered the question we all have about baboons. There are five species of baboon across the world – all either live in Africa or Arabia. Baboons tend to prefer savannah and dry locations. That being said, there are a few who reside in tropical forests. They can climb trees, but they often spend much of their time at ground level. Four of the five species live on the savannah and form huge troops. The Arabian cliff dwellers (the Hamadryas Baboons) opt to work in much smaller groups. Early risers, baboons start their daily forage at around 7am and return at 6pm. They spend the evening grooming one another – picking insects and dirt out of each other’s fur. They are very sociable creatures and live in troops of over fifty. Female baboons tend to stick with their original troop, whereas mature males move in and out of different groups. Males do have an aggressive side and will often fight to gain dominance over each other. Baboons are some of the largest monkeys in the world, ranging from 33 to 82 pounds. They are 60 to 100 cm in length (not including the tail). They are well known for their bright pink bottom – remember Rafiki from the Lion King? Baboons can be seen by many farmers as pests as they are commonly found eating crops when they get the chance – hence being dubbed ‘mischievous’. When they are unable to get hold of readily available food, they eat grasses, fruits and seeds. On occasion, they do eat meat, such as rodents or other larger mammals such as sheep. What risks do baboons face? Baboon’s number one predator is humans, due to the conflict that results from the baboons eating farmer’s crops. Sadly, they are also hunted due to the ever-growing pressure for bush meat. Baby baboons are often captured to be kept as illegal pets. 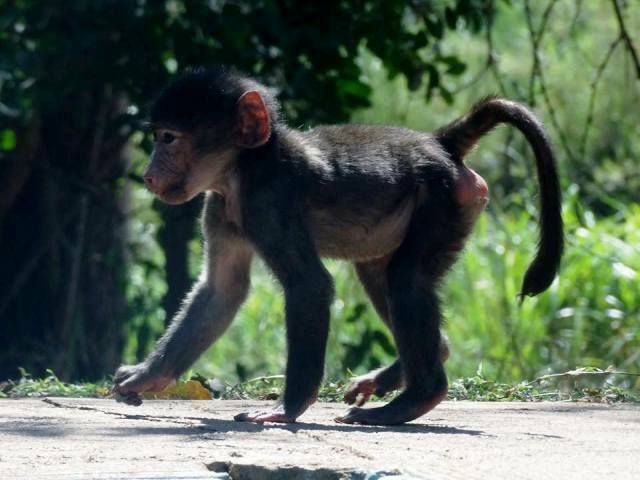 That is why volunteering with baby baboons is so important for the welfare of these animals. 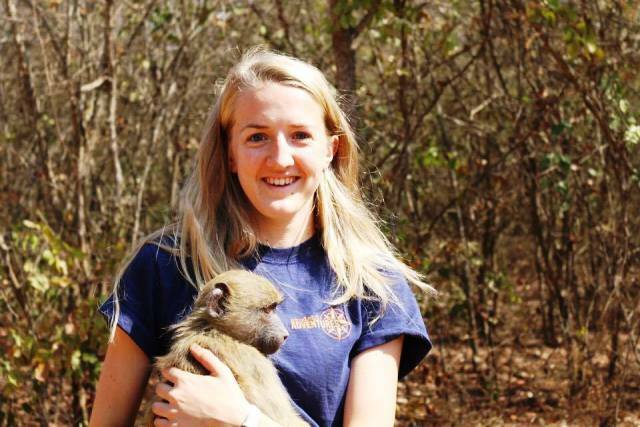 If you want to volunteer with monkeys and baboons in South Africa, read our volunteers’ reviews or fill in a booking form and soon you could be taking part in our worthwhile, hands-on programme and meet the baby baboons first hand! 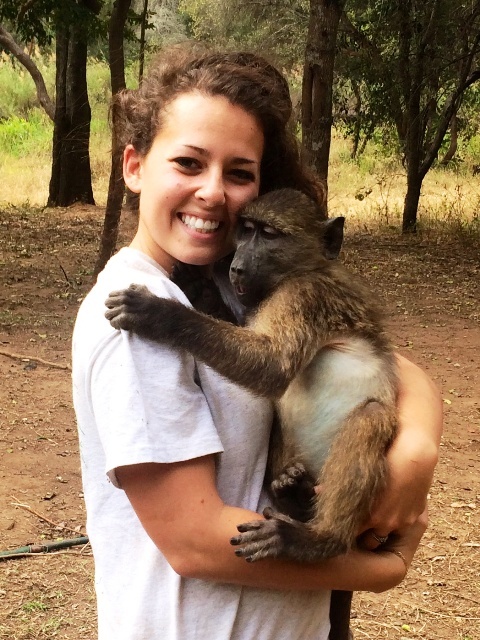 Previous Post Volunteering in Tanzania &#8211; one month in!